A managed print service (MPS) is a process to supply, implement and support an integrated print and imaging system. The MPS allows the customer to combine the costs of the machinery, supplies and service into one combined cost plan. The aim of this process is to reduce costs and increase productivity and efficiency. Gannon Office Solutions will carry out a Print/Imaging Audit to understand the requirements and workflows in your business to determine your organisations present cost of ownership. 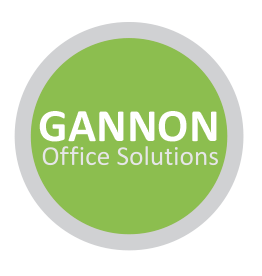 Gannon Office Solutions will use the information from the audit to design a print & document solution that meets your evolving needs and is flexible enough to meet your evolving needs while delivering definite cost savings. Our team will roll out and implement your custom design with the minimum impact to your business using our PDI Centre in Celbridge to Build as much of the solution as possible before onsite deployment working closely with your IT department or Outsourced Service Provider. Post install training will then be carried out with all relevant staff to ensure ease of integration and communicate benefits of your new system. Our Service Manager and his team will ensure your print fleet to ensure optimum performance over the duration of the contract and achieving any agreed KPIs and SLAs. Managed Print Service in essence is a single point contract for an organisation network printing needs.In general it encompasses the following elements under one contracts and set interval invoicing.